I hope - from my ‘what I did in Palermo’ previous post you – you got a sense of just how much I loved this Sicilian city, and of just how much there is out there to see and enjoy. And, that’s just a small part of the island. I also hope you found it enjoyable and insightful. Now, let’s talk food! Literally, you can pretty much take a breath in Palermo and you’ll pop on a few pounds in body weight. Food is taken VERY seriously here. I mentioned ‘panica meusa’ (spleen sandwiches) in my previous post…and if spleen sandwiches don’t tickle your fancy. It didn’t mine (although that’s because I’m not a meat eater), then you do have to give the all-round crowd-pleasing arancini (‘little oranges’ in Italian) a try. This street food snack is so delicious…what’s not to like about golden, deep-fried rice balls that are crispy on the outside and all creamy on the inside, and filled with cheese, peas and sometimes minced beef, chicken or ham..or even pistachio pesto! Order two or three, with a side of tangy arrabitata sauce and you can call it a meal. And, yes, they are soooo-good. It’s a known fact, I love my gelato, but wow, Sicily takes ice cream to another level with ‘La brioscia col gelato’. This gelato extravagance originated in here Sicily where the gelato is thick and creamy, and…. it’s served in a sweet brioche roll. It’s essentially an ice cream sandwich that you can have for breakfast, or a mid-morning snack, or lunch, or dinner...or anytime really!...Or, if you feel like a change from gelato…try ‘brioche col tuppo’ – literally brioche and granite. Refreshing and comforting at the same time. The combo of sweet soft unctuous bun with the legendary Sicilian sorbet will wake you up, and give you that sweet energy rush. Go for lemon sorbet if you want that real authentic Sicilian experience. Chestnuts! Roasted and best eaten walking along the street! Yup, other than my gelato fix, I’ve grown addicted to the Italian tradition of heading to one of the chestnuts vendors for a coppo (cone) of ‘caldarroste’ (hot and roasted’ chestnuts. Maybe, it’s because I remember years ago when we were little my grandad would buy chestnuts at Christmas (none of us really liked them back then), or maybe it’s the traditional nostalgic black and white image I have in my head of a couple walking down the street dressed up in their finery stopping to buy a bag of chestnuts on a cold winters evening, or maybe it’s just that they’re warm and comforting. Whatever it is, I loved my daily (maybe even twice daily chestnut-fix). 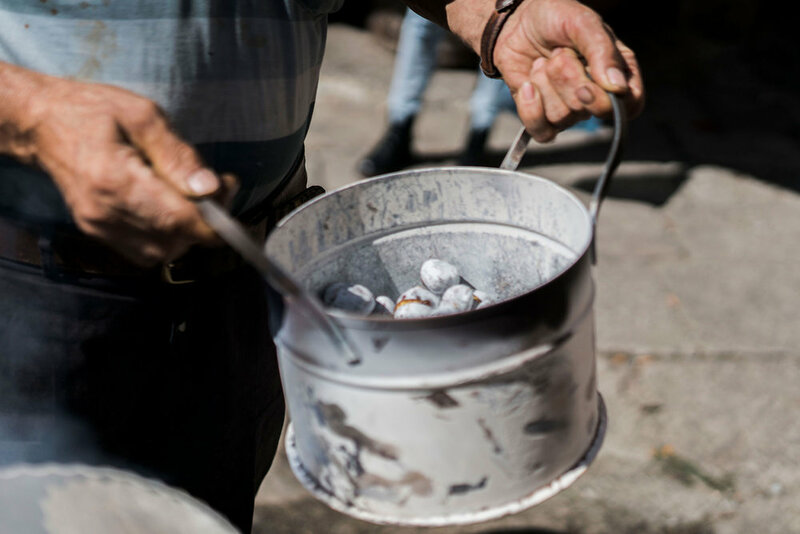 In the cooler months, every street market and on pretty much every street corner in Italy is filled with the chestnut man. You’ll see the white smoke wafting into the crisp evening air. 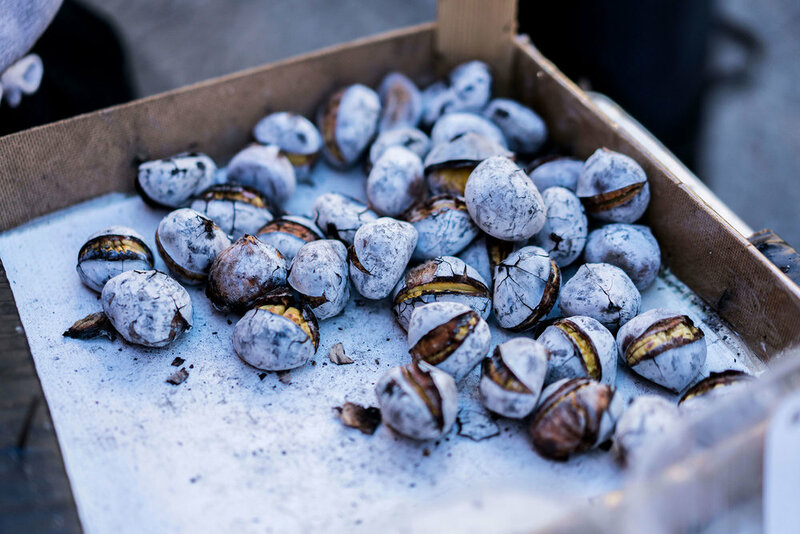 Hot roasted chestnuts are not everybody’s cup of tea, but there’s something cosy and satisfying to me as these nuts come off the hot coals and are tossed into a rolled-up cone of newspaper for you to enjoy as you wander the streets. And, once you’ve tried out ‘panella’, also give ‘rascature’ a taste test. Scicilians hate any idea of food going to waste, and ‘rascature’ is basically fritters made from the leftover remains of the ‘panella’ chickpea dough that’s gone a little too dry. Genius! I bet if you were to walk into a cute nonna’s kitchen, you might be lucky to walk into the smell of freshly fried ‘cassatelle alla Trapanese’. Soft crescents of dough filled with sweet sheep milk, ricotta and chocolate chips! Sprinkle these mouthfuls with icing sugar, and eat when they’re still hot…the chocolate melts into the creamy ricotta...I know right (sounds delicious) and moreish…I did warn you! 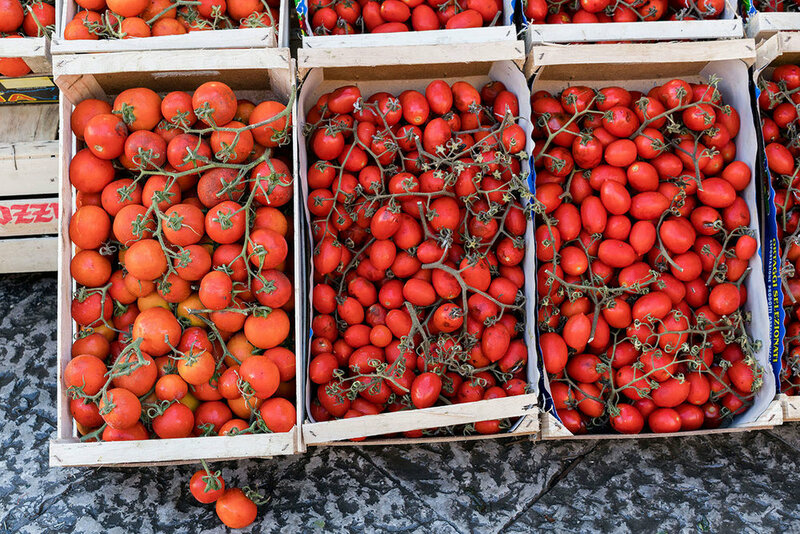 Sicilians love their food. And, you’ll find that pistachios flavour pretty much everything here…from gelato and pesto to flavouring pasta dishes. Handy, because my all-time favourite flavour of gelato is pistachio.